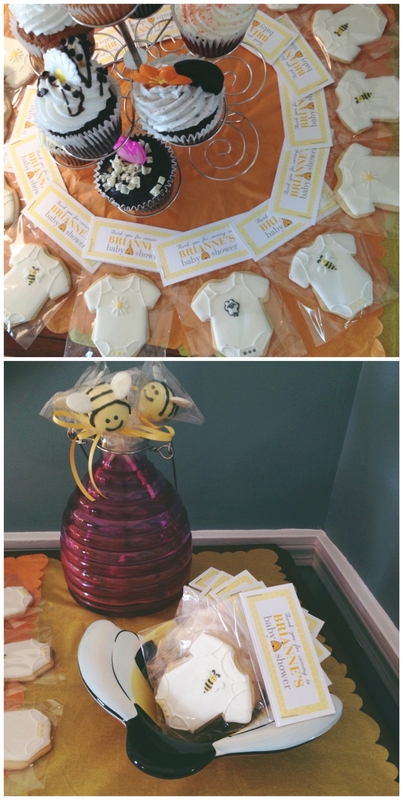 A Bee Baby Shower for Brianne! 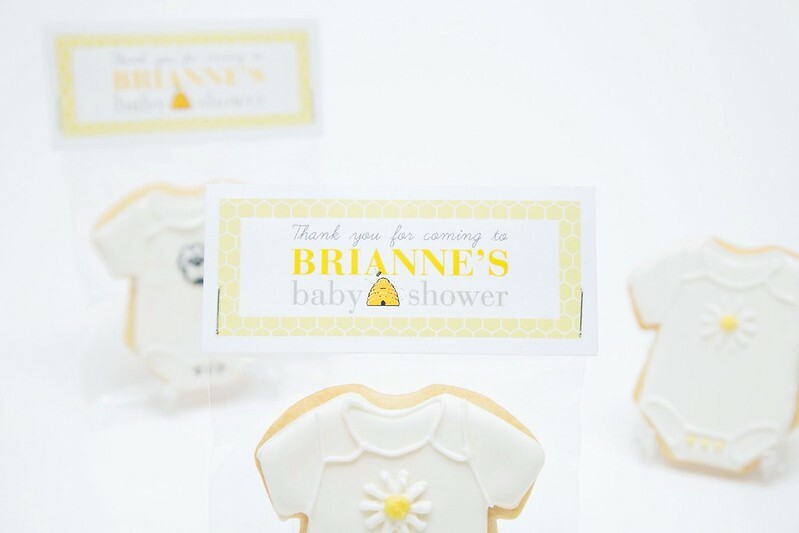 My sister ordered these baby shower cookie favors for her best friend Brianne, who is also known as "B". She loves all things Bees, perhaps not so coincidentally. 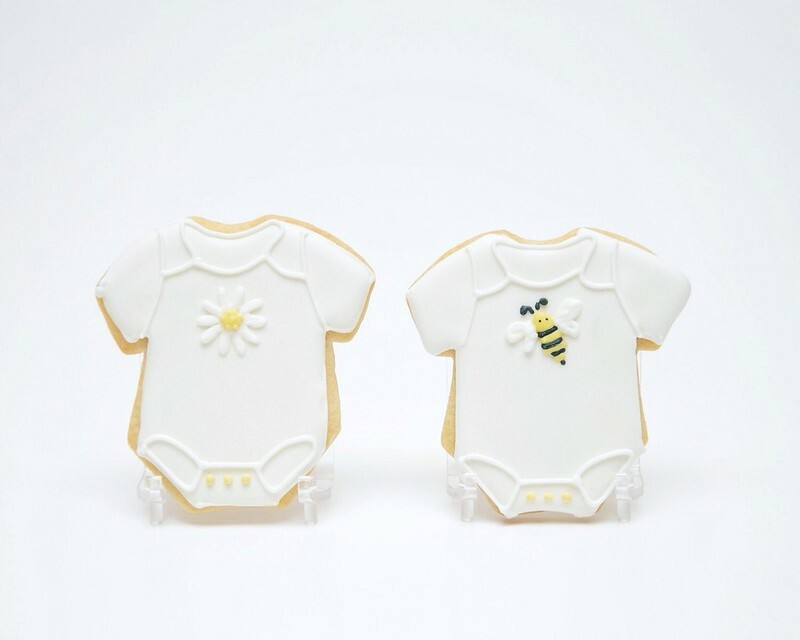 My sister wanted to get some baby shower cookies that would go with their "Bee" Baby Shower theme. I came up with these bumble bee onesie cookies. 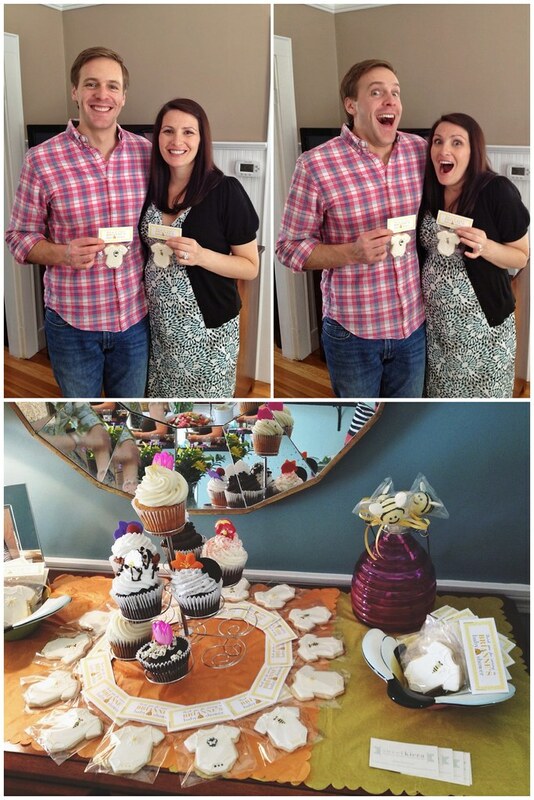 I thought it would be cute to mix in some daisies too, since this was a Springtime baby shower as well. 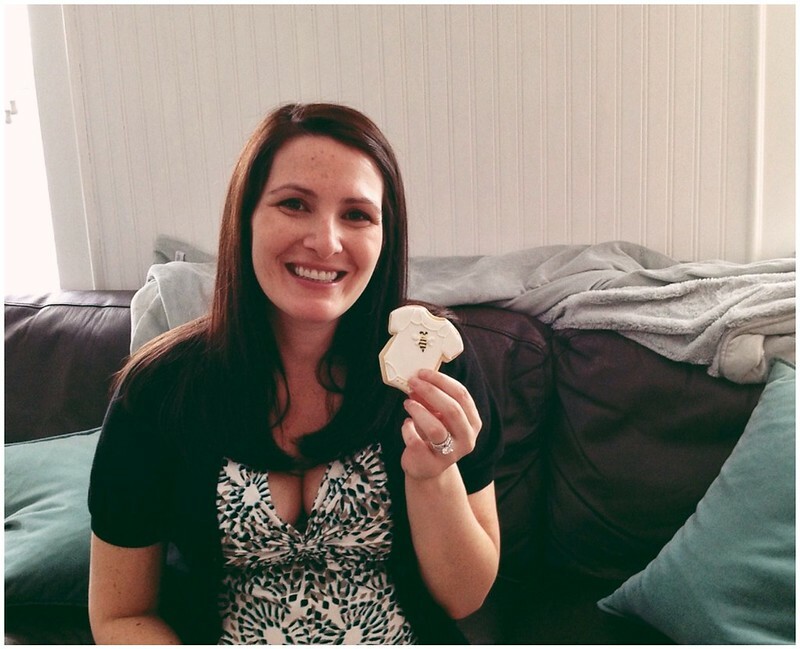 And because B also happens to have married someone with the last name "Lamb", I threw in a couple of little lamby onesie cookies too. I got my inspiration for the lamb directly from these William-Sonoma favorites of mine.